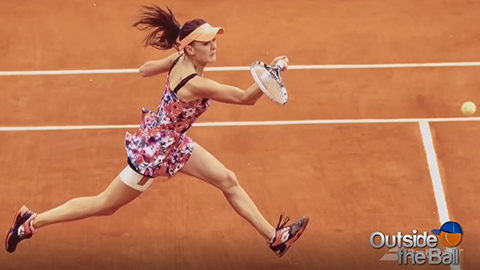 Aga Radwanska has officially announced her retirement, and this week, we’re celebrating the Polish star’s career with a look back at our favorite moments both on and off the court. We put together a tribute to Aga by combining playful interview clips and the Ninja’s on court highlights to the soundtrack of our popular song parody we wrote for the tennis pro! Mayleen and Aga looked picture perfect when they practiced the art of taking a selfie, and after her announcement to retire, fellow tennis stars shared their own selfies and sweet memories with Aga to honor her amazing career. We’ll miss seeing Aga on tour and in front of our cameras. We thank Aga for the memories and wish her luck in her future!